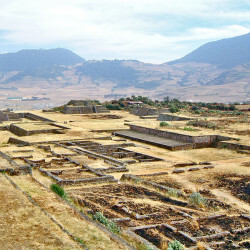 The spectacular ruins of Teotenango are situated high upon the Cerro Tetepetl (Tetepetl Hill) at the southern end of the Toluca Valley – about 40 miles south-west of Mexico City. 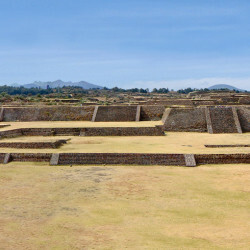 Built in 750AD, Teotenango is a magnificent example of Mesoamerican engineering and workmanship. 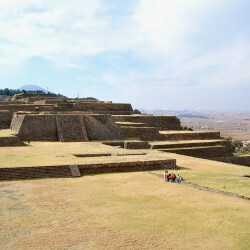 The city was constructed by first levelling, infilling and terracing the craggy hilltop, before constructing the immense platforms on which the enormous ceremonial buildings and vast plazas you see today were built. 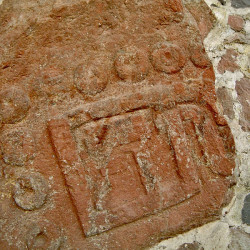 Exactly who built the city is uncertain, but archaeologists have noted considerable influences from Teotihuacan in both pottery sherds and the architecture upon the hill (in particular Pyramid 1A), although the builders were probably Otomi. 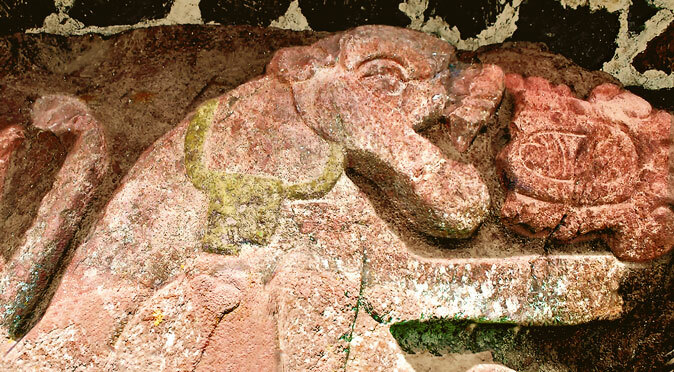 The ruins found amongst Teotenango’s archaeological zone today are predominantly constructions dating between 900AD and 1100AD. 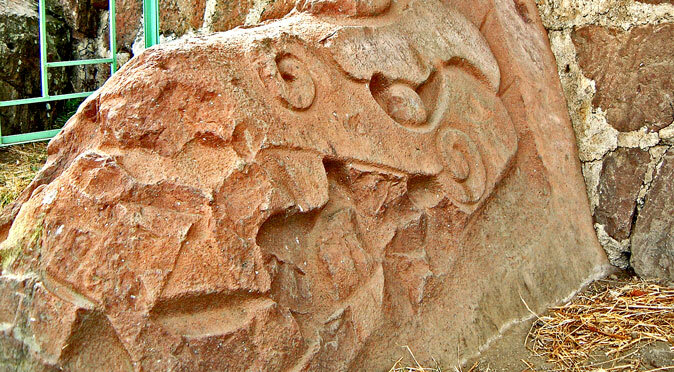 The buildings, architecture, alignments, and carvings all indicate the city was purpose-built for celestial observation and religious ritual. 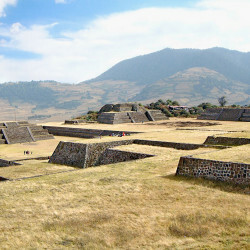 It was only after the Matlatzinca occupied the city from around 1162AD that the defensive walls and large residential complexes were added, thus transforming the ceremonial compound into a citadel. 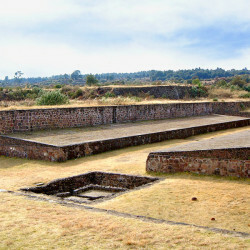 It is these defensive walls that give Teotenango its name, which roughly translates to “Place of the Divine Walls”. 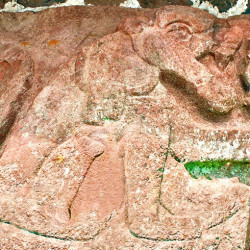 The last occupants were the Aztecs, who conquered the city and the surrounding region in 1474AD, but they made no significant changes (click here to read more about the history of Teotenango). 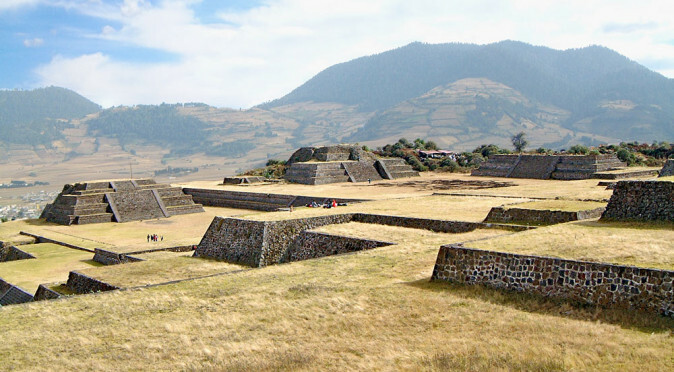 Teotenango marries the amazing structural achievements of the Mesoamerican people with the dramatic and picturesque landscape of Mexico’s high volcanic plains. 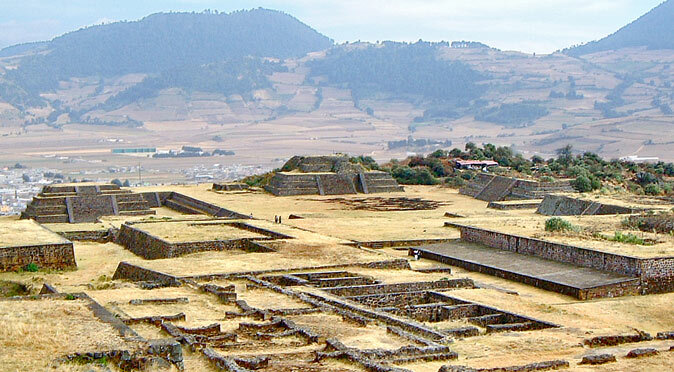 The result is quite magical and with Teotenango off the radar of package tourism, you can amble around its magnificent buildings and contemplate their quiet serenity in your own time. 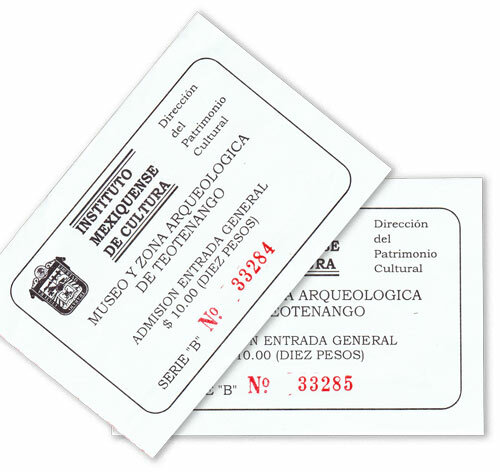 Tickets from 2001The builders of Teotenango appear to have used a curious system of ratio, for whilst the buildings are immense in size and stature, they appear to be of regular proportions (and therefore look quite small in photos – to add some perspective, the low wall in the foreground of the picture at the top of this page is considerably taller than an average person, and there is a group of people congregated at the top of the tallest set of stairs in the distance – click here for full size image). 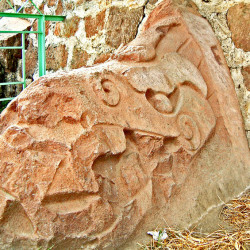 Teotenango is approximately halfway between Calixtlahuaca and Malinalco, which are roughly 15 miles to the north and the south respectively, and just 20 miles beyond Malinalco is the huge ancient city of Xochicalco. 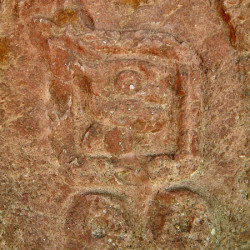 Together this quartet makes an easy group to complete together, with each featuring very different styles. 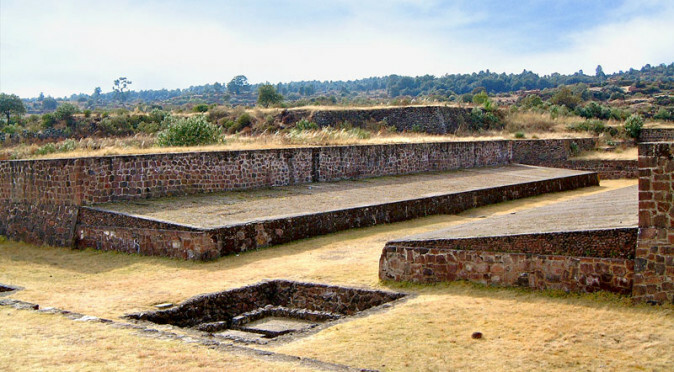 By staying in Cuernavaca, you can add an urban walk to a pyramid complex known as Teopanzolco, which is found within the city’s suburbs.